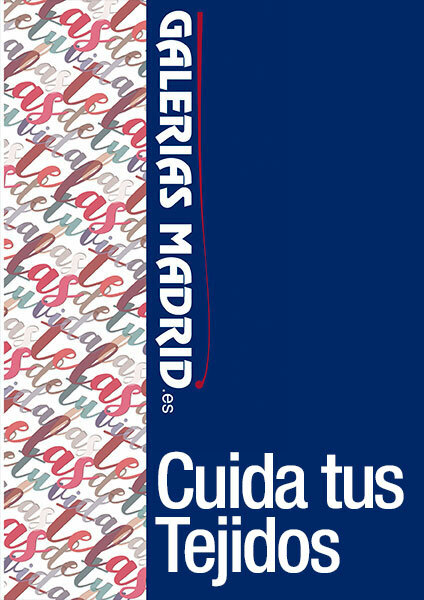 This legal notice includes the general conditions governing access to and use of the Website, www.galeriasmadrid.es . In compliance with Article 10 34 Act / 2002 of 11 July, of Services of the Information Society and Electronic Commerce, below the identifying details of the company. Mercantile registration data: Seville Mercantile Registry, 1.556 volume, 148 folio, sheet SE-8.130, 1ª registration. The access and use of the website implies the express and full acceptance of these general conditions in the version published at the moment in which the user accesses it, without prejudice to the particular conditions that may apply in some of the specific services of the website . The user accepts that access to this website and the contents included in it takes place freely and consciously, under his sole responsibility. Users access the website freely and free of charge, although ALMACENES ARIAS SL reserves the right to limit their access to certain content or services, requiring the registration of their data prior to access. ALMACENES ARIAS SL reserves the right to modify at any time the presentation, configuration and location of the website, as well as the contents, services and conditions required to use them when deemed appropriate or in order to adapt to legislative changes and future technologies. These modifications will be valid from its publication on the website. ALMACENES ARIAS SL reserves the right to interrupt access to this website at any time and without prior notice, whether for technical reasons, security, control, maintenance, power failure, or any other cause. Such interruption may be temporary or definitive, in which case this circumstance will be communicated to the users, who may suffer the loss, if applicable, of the information stored in the different services, without giving rise to any compensation. ALMACENES ARIAS SL undertakes NOT TO SEND COMMERCIAL COMMUNICATIONS WITHOUT IDENTIFYING THEM AS SUCH, in accordance with the provisions of the 34 / 2002 Law on Services of the Information Society and electronic commerce. For this purpose, all the information sent to CUSTOMERS in the name of the company will not be considered as commercial communication, provided that it aims to maintain the existing contractual relationship between the client and the company's name, as well as the performance of the tasks. of information, training and other activities of the service that the client has contracted with the company. ALMACENES ARIAS SL holds the ownership of this website. All industrial and intellectual property rights over this Internet portal are legally reserved, so access to it or its use, by the user, should not be considered, in any way, as the granting of any license for use or right over any asset. ALMACENES ARIAS SL will not assume any liability arising from the use by third parties of the content of the website and may exercise all civil or criminal actions that correspond to it in case of infringement of these rights by the user. The contents included in the website have been prepared at all times in good faith for the purpose of providing information to users, so ALMACENES ARIAS SL assumes no responsibility for the integrity or accuracy of the aforementioned information nor guarantees the accuracy or updating of the information that can be obtained from it, which may be modified without prior notice. Neither is responsible for any typographical, formal or numerical errors that the website may contain. ALMACENES ARIAS SL is not responsible for the misuse that users may make of the website. Responsibility for the operation of the website. ALMACENES ARIAS SL will try to reduce to the minimum the problems caused by errors of a technical nature, being able to proceed to the temporary suspension of the services and contents of the web site to carry out operations of maintenance, improvement or repair of the same ones, without causing any compensation to the user for these concepts. It is noted that some information contained on this website may have been created or collected in files or formats not exempt from errors, so it can not be guaranteed that the service will not be interrupted or affected by such problems. ALMACENES ARIAS SL assumes no responsibility whatsoever with respect to the damages that may be caused to the user as a result of the consultation of this web page, or of those other external objects of resending. ALMACENES ARIAS SL will not be liable in case of interruptions of the service, or malfunction of the same that have their origin in cases of fortuitous event, force majeure or other causes beyond their control. Liability for the use of links: ALMACENES ARIAS SL does not assume any liability arising from the existence of links between the contents of this site and contents located outside it, or any other mention of content external to this site. In the event that ALMACENES ARIAS SL finds by any means the illegality of the website, or that damages property or rights of a third party liable for compensation, the company will delete or disable the link. In this way ALMACENES ARIAS SL is not responsible for the content and availability of the web sites to which it links off its page, for any damage or loss that may arise from the connection or for the use of any content, product or service available in the websites to which the links are directed. The visit of the website ALMACENES ARIAS SL does not imply that the user must provide any information regarding their identity, not being able to be associated to a specific user by the company. In the event that personal data is provided, these data will be collected and used in accordance with the limitations and rights set forth in the aforementioned data protection standard. Data Collect. The collection of personal data will be made only and exclusively through the forms published on the web and emails that users can send to ALMACENES ARIAS SL, which will be included in an automated file. The files owned by ALMACENES ARIAS SL are registered in the General Registry of the Spanish Agency for Data Protection, which may be accessed by the user or visitor to check the status of those. ALMACENES ARIAS SL will keep your data once the relationship with the user is completed in order to fulfill the necessary legal obligations. In turn, proceed to cancel the data collected when they are no longer necessary for the purpose for which they were collected. Security of the information. ALMACENES ARIAS SL has developed all the technical and organizational systems and measures within its reach, provided for in the regulations for the protection of personal data to prevent loss, misuse, alteration, unauthorized access and theft of personal data provided. by the user or visitor. However, the user or visitor must be aware that security measures on the Internet are not impregnable. Confidentiality and professional secrecy. The private communications that could occur between the personnel of ALMACENES ARIAS SL and the users or visitors will be considered as confidential. Access to this information is restricted by technological tools and by strict internal controls. Links to other websites. This website may contain links or links to other sites. It is reported that ALMACENES ARIAS SL has no control whatsoever, nor does it hold any responsibility for the policies or data protection measures of other websites. User rights. The user may exercise, with respect to the data collected in the manner provided, the rights recognized by the Organic Law 15 / 1999, of 13 of December, of Protection of Personal Data and in particular the rights of access, rectification or cancellation of data and opposition, if relevant. The rights of cancellation, opposition and revocation of the consent for the transfer may be exercised by the user, and if applicable, by his / her representative, by means of a request sent by ordinary mail, signed and accompanied by a photocopy of the DNI, to the address of the seat of ALMACENES ARIAS SL above indicated. ALMACENES ARIAS SL informs that the personal data collected, when they are no longer necessary or pertinent for the purpose for which they were collected, will be canceled as established by the regulations for the protection of personal data. In the event that ALMACENES ARIAS SL has forms, the identification of the user is complete, since it is the user himself who, voluntarily, enters his data in our forms. The information provided by the user will be used by ALMACENES ARIAS SL exclusively for the purposes that are reported in each case. ALMACENES ARIAS SL will be the entity responsible for the file generated with the personal data provided by the users of its website in the forms. In accordance with the 15 / 1999 Organic Law of December of Protection of Personal Data, ALMACENES ARIAS SL undertakes to comply with its obligation of secrecy with respect to personal data and the duty to treat them with confidentiality. For these purposes, it will adopt the necessary measures to avoid its alteration, loss, treatment or unauthorized access. The user that appears in our databases may at any time exercise their rights of access, rectification, cancellation and opposition, by request sent by ordinary mail, signed and accompanied by a photocopy of the DNI, to the address of ALMACENES ARIAS SL above indicated. They are also used to measure the audience and traffic parameters, and to track the progress and number of entries. Cookies can be classified according to the entity that manages them, according to the time they remain activated in the terminal equipment and according to its purpose. "Service providers may use data storage and retrieval devices on terminal equipment of the recipients, provided that they have given their consent after they have been provided Clear and complete information on their use, In particular, on the purposes of the processing of the data, in accordance with the provisions of the 15 / 1999 Organic Law of 13 of December, on the Protection of Personal Data. User security cookies. (Erroneous and repeated connection attempts). Cookies of complement to exchange social contents. These cookies are excluded from the scope of art. 22.2 of the LSSI, and therefore, it would not be necessary to inform or obtain consent on its use. On the contrary, it would be necessary to inform and obtain the consent for the installation and use of any other type of cookies, both first and third, session or persistent, being subject to the scope of article 22.2 of the LSSI, on Which will be useful the guidelines of this document. Third party cookies: These are those that are sent to the user's terminal equipment from a computer or domain that is not managed by the publisher, but by another entity that treats the data obtained through cookies. Analysis Cookies: These are those that allow the responsible of the same, the monitoring and analysis of the behavior of the users of the websites to which they are linked. The information collected through this type of cookies is used in the measurement of the activity of the websites, application or platform and for the elaboration of navigation profiles of the users of said sites, applications and platforms, in order to introduce improvements in Function of the analysis of the usage data that the users of the service do. Advertising Cookies: These are the ones that allow the management, in the most efficient way possible, of the advertising spaces that, if applicable, the publisher has included in a web page, application or platform from which he provides the requested service based on criteria Such as the content edited or the frequency at which the ads are displayed. - Technical cookies: They are those that allow the user to navigate through a web page, platform or application and the use of the different options or services that exist in it, such as controlling traffic and data communication, identify the session, access parts of restricted access, remember the elements that integrate an order, carry out the process of buying an order, make the application for registration or participation in an event, use security features during navigation, store content for the broadcast of videos or sound or share content through social networks. - Personalization cookies: They are those that allow the user to access the service with some general characteristics predefined according to a series of criteria in the user's terminal such as the language, the type of browser through which accesses the service, configuration regional from where you access the service, etc. Third Party Cookies: The website of ALMACENES ARIAS may use third-party services that, on behalf of ALMACENES ARIAS, collect information for statistical purposes, use of the Site by the user and for the provision of other services related to the Website activity and other services of Internet. Information about legal obligations in the use of the Cookies. The legal obligations imposed by the regulations are two: the duty of information and obtaining consent. The second section of article 22 of the LSSI states that users should be provided Clear and comprehensive information on the use of data storage and retrieval devices And in particular on the purposes of data processing, in accordance with the 15 / 1999 Organic Law of 13 of December, on the protection of personal data. Therefore, the information on cookies provided at the time of Requesting consent must be sufficiently complete to allow users to understand the purpose for which they were installed And know the uses that will be given to them. The provision of the information through a header bar or in the footer, sufficiently visible. Likewise, information must be provided on how to deactivate or remove the cookies set forth through the functionality provided by the publisher, as well as the form of revocation of the consent already provided. If the user wishes to ask any questions about the Cookies Policy of the Website, you can contact the Holder through the following address: marketing@comerciotextil.net indicating in the subject "Cookies Policy".